One of the most surprising development of this year was the proverbial explosion of Chinese depressive black metal act Ghost Bath. Last year, this site reviewed their debut Funeral which was a soul wrenching experience full of piano and pained cries. Though I shouldn’t be surprised at the potential this band had on a larger audience, it is still exciting to see the project get tossed around between larger sites and blogs. Moonlover is the band’s second release in a short time and continues the focus of emotionally scared black metal which is incredibly sensitive regarding mortality. There is a lot regarding this band that is still uncertain. The member’s identity and even actual location is still as of yet undetermined. Whether or not this is a project of Chinese, US, or mixed origins, the most certain thing about Ghost Bath comes contained in their record. Outside of hazy uncertain is around 40 minutes of interesting black metal that goes beyond the stylistic boundaries of depressive black metal. 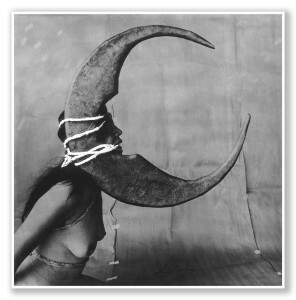 Compared to Funeral, Moonlover moves deeper into atmosphere which is similar to Woods of Desolation and Deafheaven than it is to other DSBM acts. This transformation is both noticeable and effective for the band that has possesses a polarity of aesthetics. Moonlover is melancholic. From the band name, to the album cover which is or at least looks like a Joel Peter Witkin piece, the music is devastating in its reserve. As much as harsh tonality inhabits the record, it is balanced by clean guitar and a dreamy atmosphere. “The Silver Flower” is broken into two pieces with the first half a simple yet effective ambient piece and even “Golden Number,” the album’s first single, has an outro which is just as sweet as its barbed sections. In the review of Funeral, I made mention of the band’s ability to go out on a ledge in terms of emotional content with its solo piano pieces, Moonlover seems like a logical step as it presents a more even mix of beauty and disaster. I am still confused to what this band is in real life but I think I can rest assured that I will know them in dreams or nightmares.